By Mehrtash Rastegar, United Nations and Human Rights Correspondent. More than 40 people were hanged in Iran in the first 22 days of this year, senior United Nations officials have just revealed. In a report just published on human rights in Iran, Ahmed Shaheed and Christopher Heyns said there had been a surge in summary executions in Iran. Those put to death included a number of people accused of acting against national security. The two UN Special Raporteurs called on Tehran to put an immediate halt to any further hangings. According to the UN Office of the High Commissioner for Human Rights, the majority of the executions were for drug-related offences; however, a number of detainees were executed for the crime of ‘Moharabeh’ (enmity against God), or acting against national security. The Iranian Government has in the past used this charge to execute anti-government protestors, and any other person who publicly criticises the establishment. The great massacre of 1988 in Iran saw the Ayatollah regime summarily execute thousands of prisoners over five months for politically opposing the newly established Islamic regime as a result of the 1979 revolution, and unilaterally labelled them as members of the MEK, a fundamental Islamic guerrilla organisation who endorse a Marxist ideology. However, monarchists; socialists and leftists were also executed, charged by the regime as being MEK members. The protests following the disputed 2009 Presidential elections also had its share of arbitrary arrests, detentions and an on-site shoot to kill policy as fierce reprisal against those protesting peacefully in the streets. During his Friday prayer sermon in 2009, Supreme Leader Ali Khamenei had warned that if the people of Iran did not end their street protests and return to their homes, the ensuing “bloodshed and chaos” would be the “opposition leaders’ responsibility”. Article 19 of the Universal Declaration of Human Rights, as well as the International Covenant on Civil and political Rights safeguards the right to freedom of expression. This is international law, which by custom and ratification respectively applies to 193 nations, including Iran. In a press release, Rapporteur Heyns commented “We are dismayed at the continued application of the death penalty with alarming frequency by the authorities, despite repeated calls for Iran to establish a moratorium on executions”. 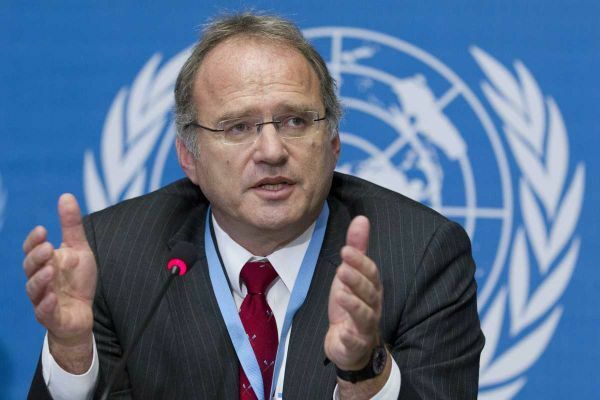 Heyns further commented that “the inherently cruel, inhuman and degrading nature of the death penalty” demonstrates that the Government is proceeding with executions that fail to meet the established standard threshold of the ‘most serious crimes’ as required by international law. 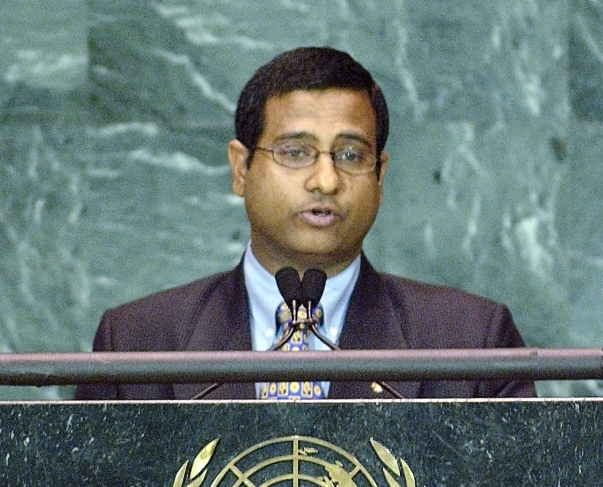 Rapporteur Shaheed expressed deep concern at the increase in executions of political activists and individuals from ethnic minority groups, stating “the persistent execution of individuals for exercising their rights to freedom of assembly, association, and affiliation to minority groups contravenes universally accepted human rights principles and norms”. Special Rapporteur on Extrajudicial, Summary or Arbitrary Executions Christof Heyns. The Special Rapporteurs urged the Government of Iran, as an active member of the international community, to heed the calls for a moratorium on executions, especially in cases relating to political activists and alleged drug-offences. 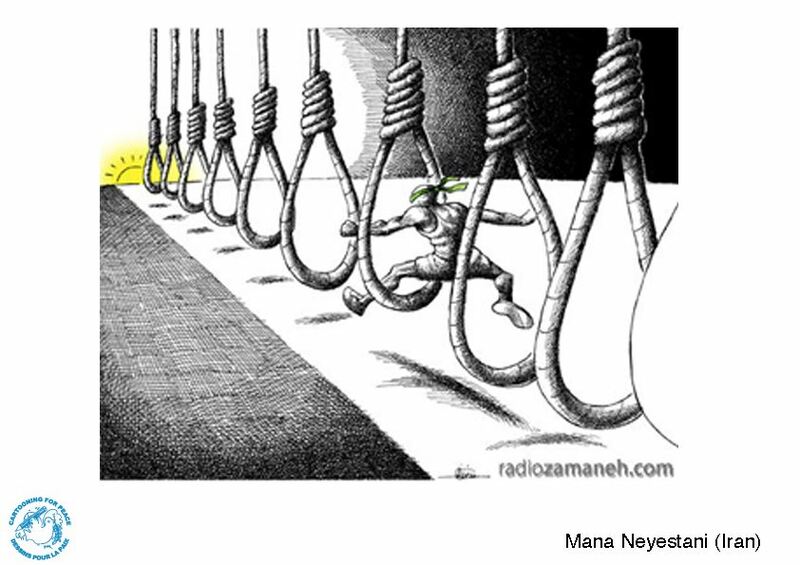 “We urge the Iranian authorities at least to restrict the use of the death penalty to what is permissible as an exception under international law, and namely to limit its imposition only for the crime of intentional killing, and to respect stringently international standards guaranteeing fair trial and due process for those facing the death penalty”. The experts’ appeal was also endorsed by Juan E. Méndez - the UN Special Rapporteur on torture and other cruel, inhuman or degrading treatment or punishment. Stoning was a form of execution, occasionally practiced by the Iranian authorities; however, due to international pressure and the relentless efforts of human rights organisation, the Iranian government issued a moratorium on stoning. The concerned method was considered by the Human Rights Committee to represent a prime example of torture causing death. Shaheed and Heyns are mandated ‘Independent Experts’, or ‘Special Rapporteurs’, who are appointed by the Geneva-based UN Human Rights Council to examine and report back on a country situation or a specific human rights theme. The positions are honorary and the experts are not UN staff, nor are they paid for their work.